Running a full or half marathon this fall? Runners don’t let other runners run alone, especially on looong runs. Get all the support you need on Saturday, 8/27/16, at Fleet Feet Hoboken! 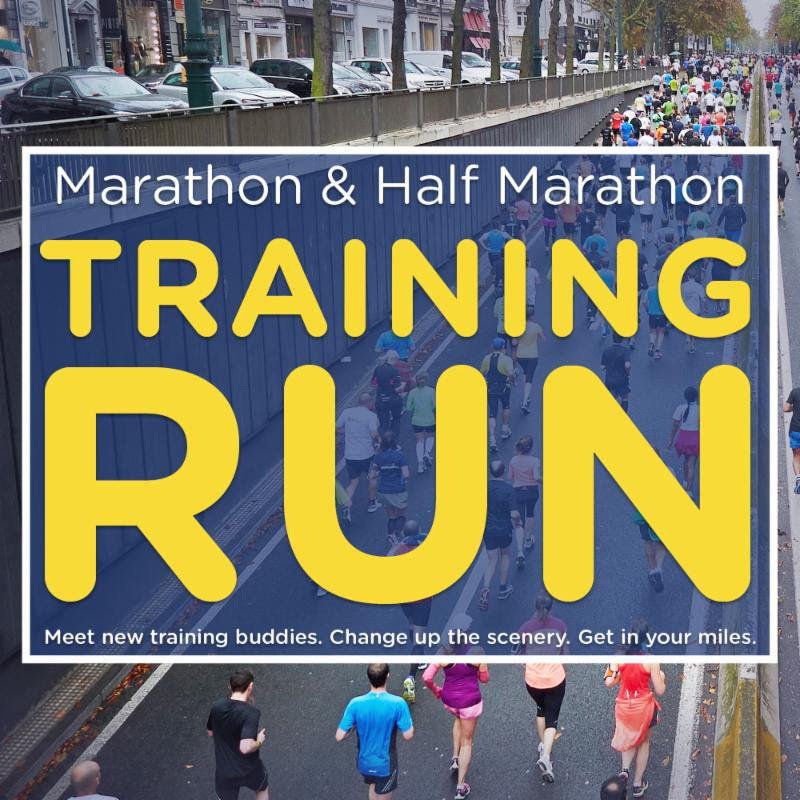 We invite you to join us for our marathon and half marathon supported training run. Run a four mile loop around Hoboken up to five times, totaling up to 20 miles for the morning. Runners can choose the number of loops they want to run (1 loop = 4 miles, 2 loops = 8 miles, 3 loops = 12 miles, 4 loops = 16 miles, 5 loops = 20 miles). An aid station will be available, outside of Fleet Feet Hoboken with complimentary water and sports gels provided by our sponsor, PowerBar. Come out and meet new running buddies! Where: Fleet Feet Sports Hoboken | 604 Washington St.
Lulu’s NJ on the lawn for the W tails doggie adoption event! dog portraits, face painting, live music, doggie pool party, and of course ADOPTIONS! Come join us for our second painting party at Jack & Co.! Wednesday, August 24th – 7:30 P.M.
Our painting will be Criss Cross! It’s customizable, fun and guaranteed to look good in any space! Buy your ticket today while availability lasts! Julio Fernandez and Friends will performing their yearly summer concert at Sinatra Park on Thursday August 18th from 7pm to 9pm. As a 32 year member of the Grammy nominated band, Spyro Gyra, Julio has toured all over the world but is still a big part of the local Hoboken music scene. This year he’ll be joined by some very special guests for an evening of jazz, blues, rock, and funk. Additional support provided by: Apple Montessori Schools, Suez, Applied Companies, My Gym Hoboken, Naked Juice and Muller Insurance. On Tuesday, August 2, 2016, The Hoboken Police Department and Stevens Police Department will be hosting “National Night Out in Hoboken”. National Night Out, also known as “America’s Night Out Against Crime”, is an annual, nationwide event that allows the community workers to give back to their community. The annual event will take place in Hoboken’s centrally located Church Square Park, where a large slate of family and youth-oriented activities is scheduled to take place from 5pm until 9pm. Elsa from “Frozen” and Cinderella will be making a visit to take pictures with everyone in attendance. We will have bounce houses, free food and giveaways throughout the night. Our giveaways include baseball tickets, a Burberry handbag, gift cards and autographed sports memorabilia. We will be conducting free child car seat inspections from inside the parking lot of the A J Demarest School (158 4th Street). National Night Out is designed to: (1) Heighten crime and drug prevention awareness; (2) Generate support for, and participation in, local anticrime efforts; (3) Strengthen neighborhood spirit and police-community partnerships; and (4) Send a message to criminals letting them know neighborhoods are organized and fighting back. In addition to the participation of various police agencies, several local businesses will be out in full support of this night out against crime. Additionally, there will also be bounce houses and water slides and other entertainment for children. People of all ages are encouraged to attend. The National Night Out event is celebrated by over 37 million participants and over 16,000 communities across the United States. For further information or to set up a table or make a donation for the event please contact Officer Daniel Simone at simoneda@hobokenpd.org or visit our website,www.Hobokenpd.com.